The Cybex VR1 lat pulldown offers traditional lat pulldown movement that helps to target the latissimus dorsi muscle which takes up the exceedingly large portion of the back. 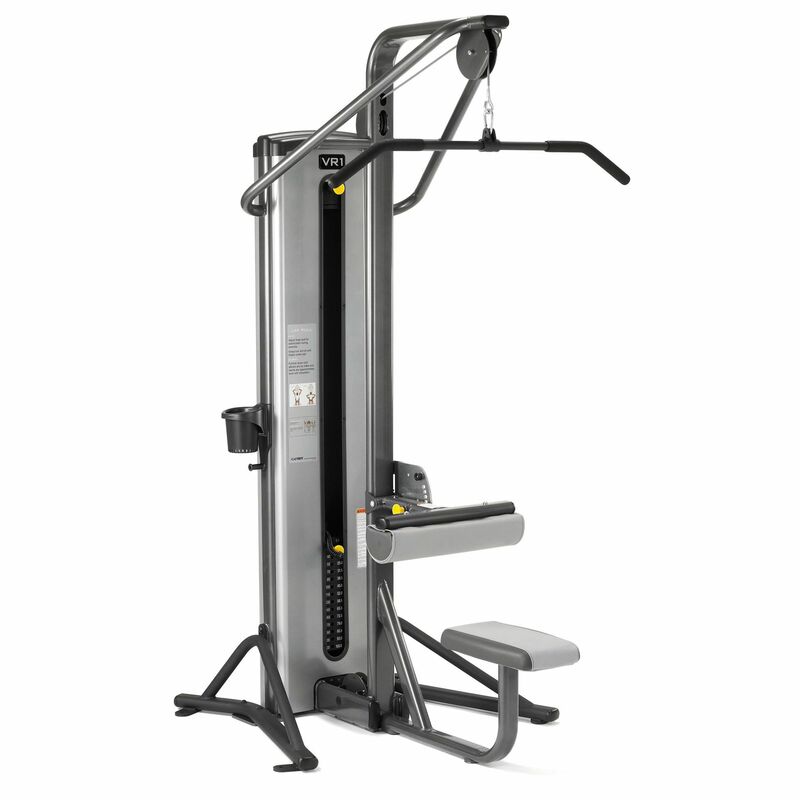 The machine offers a pulley located at the front of the machine to encourage the correct posture for the lat pulldown movement. The thigh pads can be adjusted to accommodate different leg lengths and ensure that the user is kept in the seat when adding more weight. With a weight stack of 100kg (220lbs) this machine, designed for commercial use, can provide a varied and challenging workouts for both advanced users as well as beginners. for submitting product information about Cybex VR1 Lat Pulldown We aim to answer all questions within 2-3 days. for submitting product information about Cybex VR1 Lat Pulldown. We aim to answer all questions within 2-3 days. If you provided your name and email address, we will email you as soon as the answer is published. for submitting product review about Cybex VR1 Lat Pulldown.